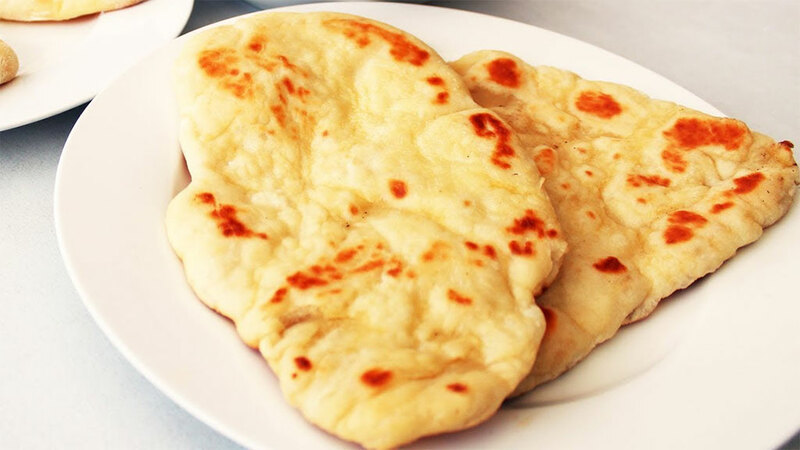 Looking for a delicious easy alternative to everyday bread, try this simple homemade Naan. Mix everything together to make dough. Let dough rise for 30-40 minutes. Make medium size balls with the dough and roll them out as big as you want. Turn on stove top to medium heat, lay naan on ungreased flat pan and bake both sides till golden. Put a little butter on one side and it’s ready to eat!